Weight Control. Exercising along with healthy eating is the best way to control weight or lose weight. This is all about energy intake and energy burning. Obviously, if you burn more energy than you take in, then the more you will lose weight. Being overweight is a confidence destroyer. Therefore the better shape you are, the better you will feel. Improves mood. There’s nothing better emotionally than a good workout. Before you think that this requires a trip to the gym, think again. A good workout could be a brisk walk, or a jog. In fact, anything that makes your bodywork physically harder can be a workout. What this does is to stimulate brain chemicals like dopamine and serotonin, which promote a general feeling of well-being. The results are a reduction in stress and anxiety. It’s good for the heart. Regular exercising lowers the risk of various heart-related conditions. Exercising has been proven to lower blood pressure, reduce problems associated with diabetes and can even help in fighting heart disease. This is quite logical – if exercising reduces weight, then this means that the heart has to work less and in turn, the heart is much healthier. There is also less pressure on joints and other areas of the body. Keeps the body in shape. This is slightly different from weight control. Being is shape involves having a well-toned body and better posture – all aspects connected with self-confidence. When a person feels good about herself, it’s easier to make friends and more connections in life means more confidence. More energy. If we don’t have the energy to do things, then everything becomes a chore. That can lead to feelings of feeling bad about oneself. Regular exercise helps the whole bodywork more effectively. The result is that chores become responsibilities and the more responsibility we are coping with, the better we feel. Better sleep. Regular exercise promotes good sleep. It is proven that sleep is necessary for general feelings of well-being. Sleep is also necessary for how we look. Just imagine preparing for an important meeting and looking in the mirror and seeing dark circles under bloodshot eyes – how confident will you feel? Therefore, exercising will improve sleep. One word of warning – just don’t exercise too near bedtime. Improves productivity. One of the best ways to clear the mind is to exercise regularly. Exercise gives you a chance to wipe the slate clean and start from new. 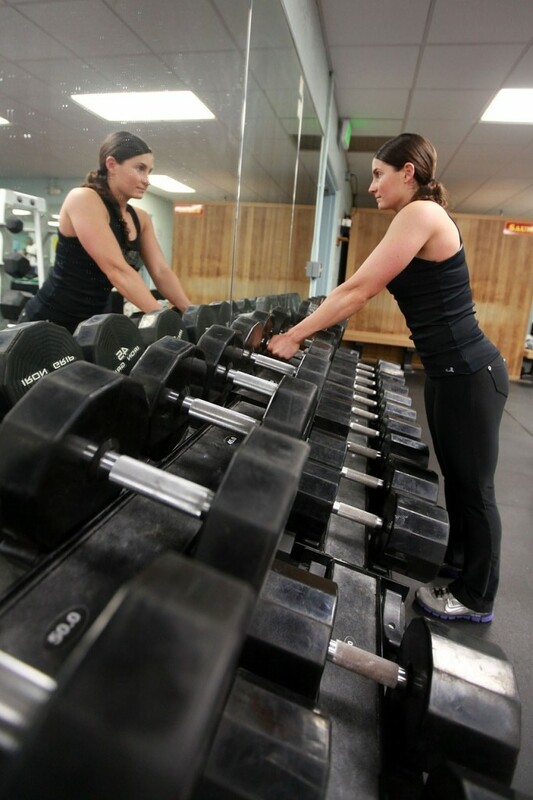 In addition, if you push yourself exercising you can realize new potentials and this in turn boosts self-confidence. Very often, what you thought was a major problem before exercising disappears after. Give you something to look forward to. Once you have a reasonable schedule for exercising, you will start to look forward to it. This in itself is a confidence booster. Once you start seeing the benefits of exercising, you will have the desire to continue and in the end, you feel better and look better. Improves concentration. In general exercising helps us to develop the necessary skills to concentrate on the task in hand. This then trains us better when we have tasks or responsibilities to concentrate better, resulting in more praise and benefits. Feelings of control and achievement. In general, exercising has so many benefits to health and mind that we can’t help having a feeling of control and achievement. Working out takes work, dedication, commitment, and care for oneself, and all this facilitates enormous feelings of confidence. ← Can you lose weight quickly?